Turn the voice of your customers into visually engaging content that is easy to share and will accelerate sales opportunities. 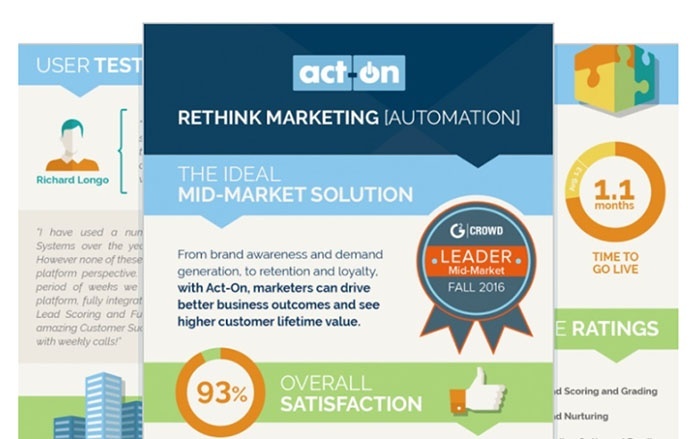 G2 Infographics provide a visual and engaging representation of data and trends uncovered from reviews submitted by real users. Storyboards are a series of infographic visuals that work together to tell a story. Infographics are a great tool for your team to use in social campaigns and around your site to supplement licensed reports. B2B buyers seek trusted peer advice before making buying decisions. 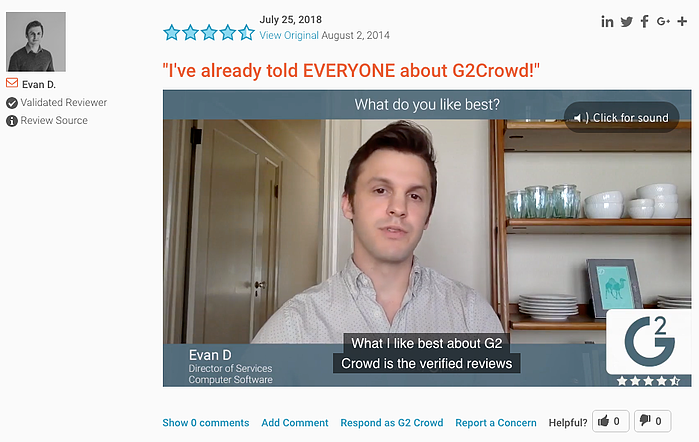 With G2 Social Asset Creation, G2 turns authentic reviews and high-impact reports into shareable, visually engaging, data-driven, B2B social content. G2 can create data-based ad units to promote your review data across social channels. 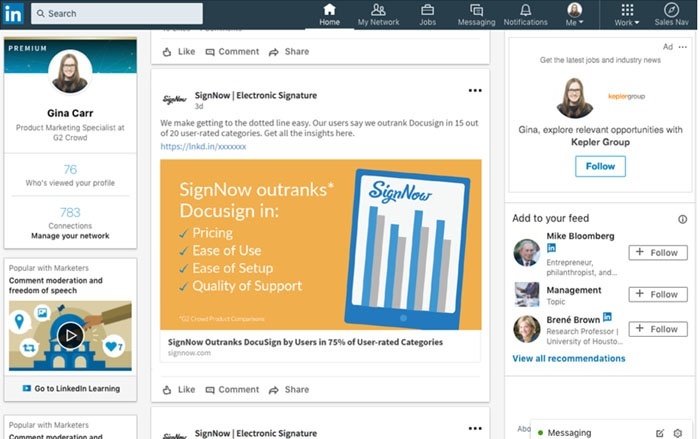 Social Asset Creation is available for any social media platform and is a plug-and-play solution for busy Marketing teams. Pair powerful G2 content with targeting options available through social platforms. Combine with Buyer Intent data to target your ads to companies actively researching on G2. 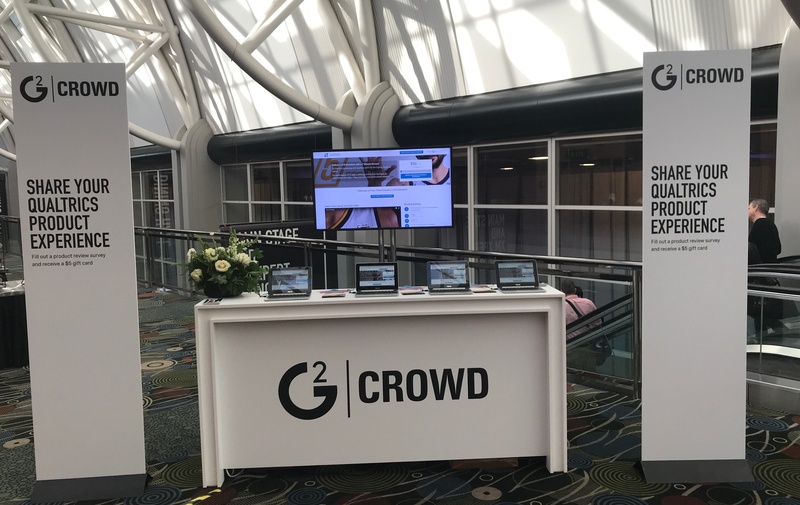 Collect more reviews with a G2 Review Booth at your next conference or event. Utilizing our expertise in capturing reviews, we’ve designed a unique experience that will elevate the attendee experience and help you amplify the voice of your customer. With an average of 150 reviews captured each conference, the results will help you accelerate the number of reviews on your G2 profile. Give your customers the space to provide valuable feedback so you can continue to improve the customer experience. Let us do the work of gathering reviews so you can concentrate on delivering the best conference possible. Contribute to our G2 Gives program by choosing a charity for us to donate a set amount to each approved you receive. Learn more about Review Booths here. Video content is one of the most popular ways people consume content—and reviews are no different. Video reviews give potential buyers an easy, engaging way to learn about your product by providing a short overview of business use cases, likes, dislikes, and advice for prospective buyers. Engage buyers in a new way by giving them the opportunity to see a current customer’s enthusiasm for your product. Save time and money by letting us create video content for you. Promote video reviews on social channels, within marketing campaigns, on your website, and more!